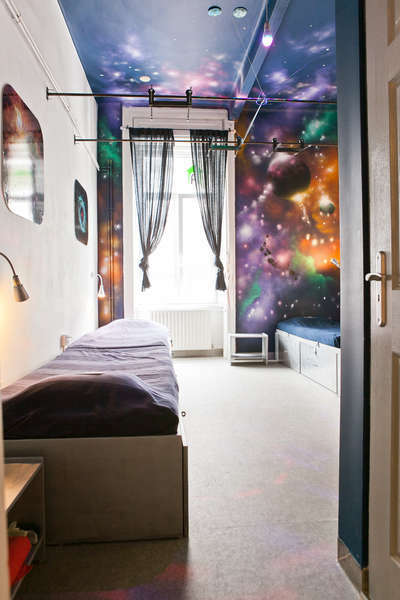 Aventura Boutique Hostel offers you stylishly designed spacious themed rooms. Instead of bunk beds we have intimate lofts, with a nice feeling of more personal space. The 8 bedded “Africa” room shows off the adventurous ambience of Africa. The 6 bedded „India” room captivates with its warm, exotic atmosphere. The 4 bedded „Space” room is our only room with a private shower. Japan double room is the only private room. It comes with shared bathroom. Our In-hostel Massage service will make your hostel stay in Budapest even more relaxing. The fully equipped kitchen with a small loft is also our social area, a great place to meet the other travellers. We also offer three different type of breakfast, a continental breakfast, an egg breakfast in the café under the hostel and a very local sausage breakfast at the butcher in the building. Aventura’s 24 hour staff can provide real experiences by helping you to discover Budapest’s full cultural heritage and vibrant art life. We offer many kind of tours, free walking tours, tickets to the thermal baths, bike and bus tours, pub crawls, caving tours, etc. 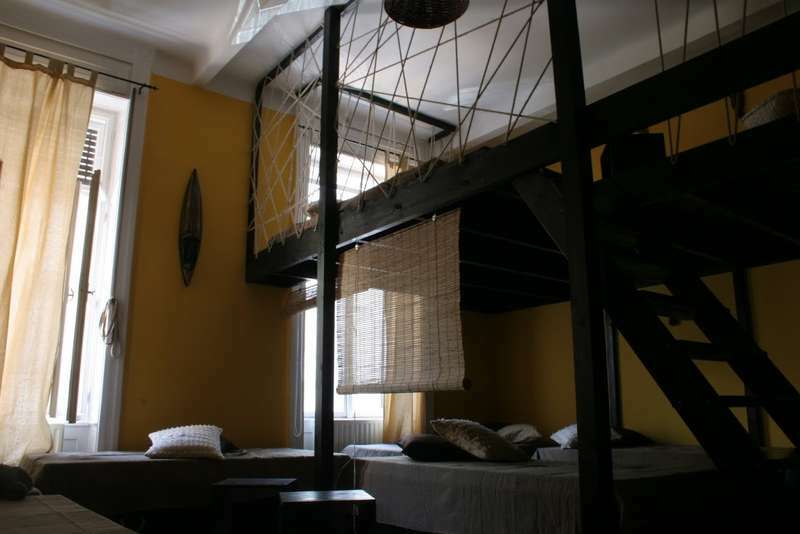 Family Apartment is a two bedroom hostel available for max 4 person and a baby. The Apartment Rouge is a one bedroom apartment near the hostel. The “Retro Apartment” is also a two bedroom fully equipped apartment one metro stop from the hostel, right in the middle of Budapest downtown. It is in fact a real home with the atmosphere of the 60s. We do not have credit card terminal. Payment is upon arrival in cash only. Thank you for understanding.